Loved staying at Bay Tree House B & B ... Mike and I were delighted with our two days here. Janice and James were warm and welcoming and great fun. Breakfast was a highlight - and an opportunity to swap stories with the other guests. We would totally recommend this B&B. Jasmine warmly welcomes you to Bay Tree House Bed and Breakfast. 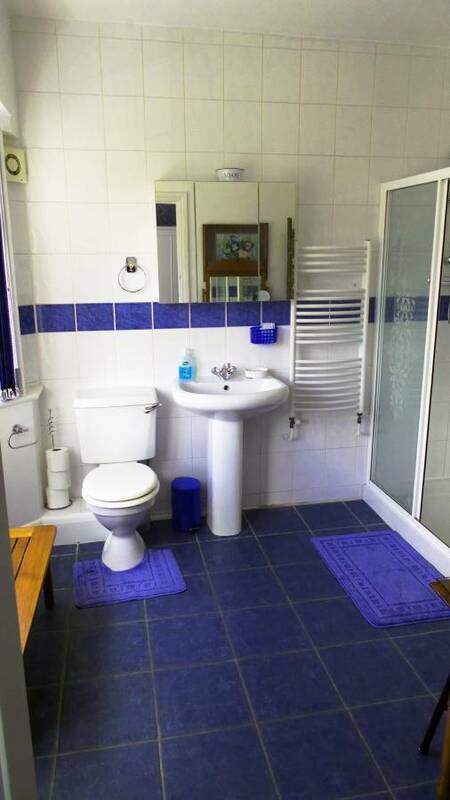 Pamper yourself at our luxury B&B here in London at very affordable prices. We have three large rooms beautifully decorated in Old English style with comfortable beds, T. V, and private bathrooms with heated towel rails and outsized showers. 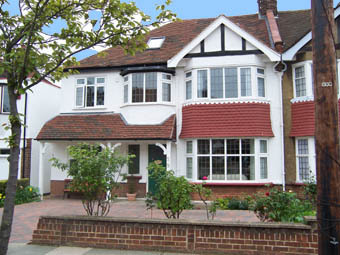 We are located in New Southgate, the London Borough of Enfield, North London. 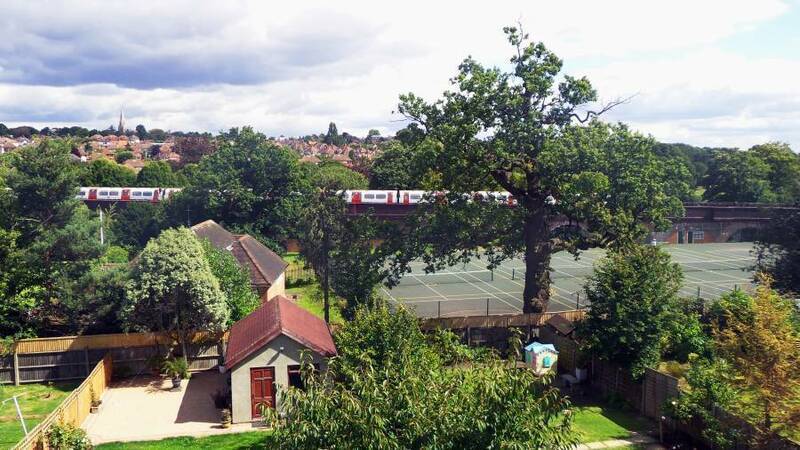 Overlooking a large park complete with tennis courts and a rushing brook, our road is quietly residential, yet just around the corner from the Arnos Grove Tube station. We have off street parking at the front of the house for your convenience. We will cook you a full English breakfast or vegetarian if you prefer, with unlimited tea, coffee and serve yourself toast. Our dining room opens onto the garden which you are invited to explore, or in the cooler weather, enjoy the cosy fireplace which will be lit. There is a Harvesters Pub nearby, a great place to eat and drink, a wonderful fish & chip shop, a Chinese restaurant, an Italian deli, an Internet facility plus a bakery/café at the top of our road. Many other restaurants and pubs are only a short distance away. The West End with all its theaters, museums, shopping and clubs is only a tube ride south. Trent Park, acres of woodland and riding stables is only 2 stops north. Whether you are coming from abroad, visiting London from other parts of the U. K. or looking for a short stay on a business trip you will find Bay Tree House a comfortable retreat. We look forward to meeting you. Conservatory/Library for coffee and conversation and the all important planning meeting next days sight seeing tour. 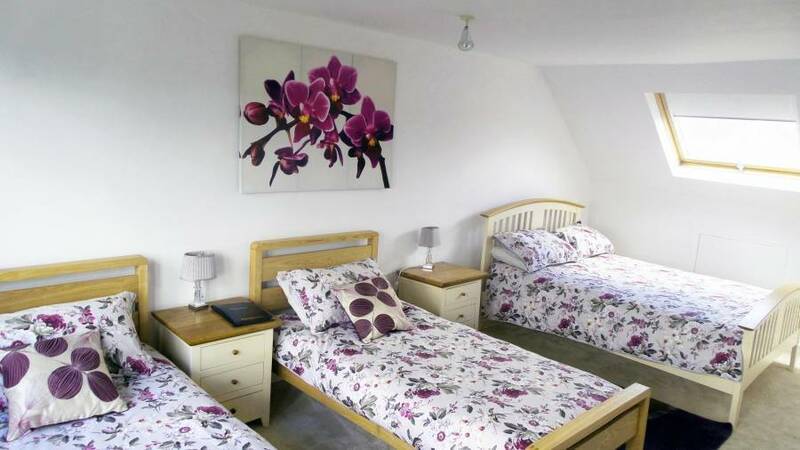 Bay Tree House has three large rooms beautifully decorated in Old English style with very comfortable beds, T. V, and private bathrooms with heated towel rails and outsized showers. There is a phone specifically for the use of guests. 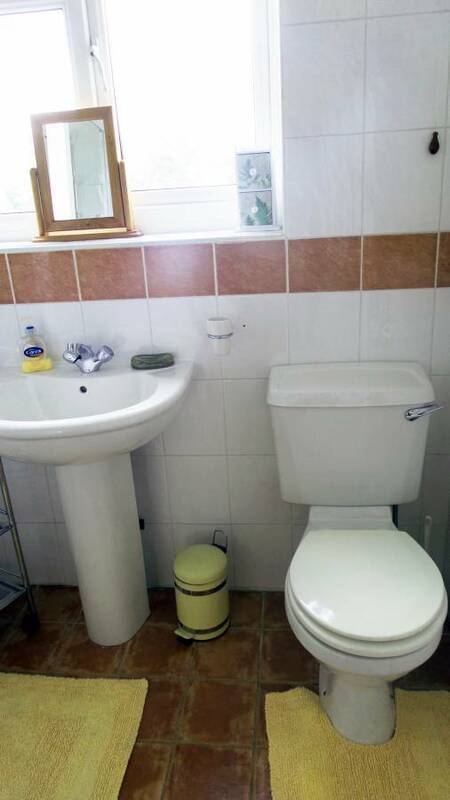 T. V, and en-suite/private bathrooms with heated towel rails and outsized showers. There is a phone specifically for the use of guests. Rooms are cleaned thoroughly every day. Your room would be ready from 11 am onwards, but you can come to check in as early as you like and take some light refreshment in our conservatory. If no one has been in the room the night before, you can go up immediately. 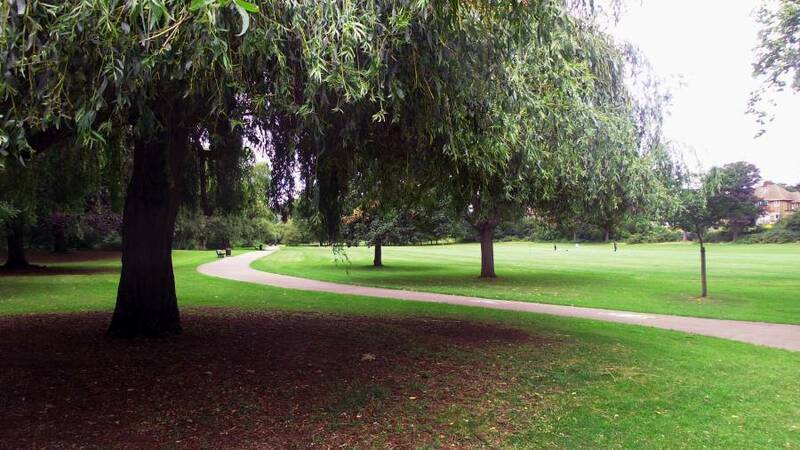 Overlooking a beautiful park complete with tennis courts and a rushing brook, our road is quietly residential, yet just around the corner from the Arnos Grove Tube station, a level 4-minute walk. No need for taxis, Arnos Grove is on the Piccadilly Line, a direct no change ride from Heathrow Airport, virtually door to door! We ask that if you need to cancel please give us as much warning as possible so that we can try and relet the room. However, if you cancel with 3 days notice then you will incur a one nights charge. Travel to Bay Tree House is very easy and we are assuming that you will come by underground. The Piccadilly line runs to the top of our road, the Arnos Grove tube station. When you come out of the station, turn right past a small car park and a short parade of shops. Turn right at the first street, Brookdale, and walk down about half way. We are number 59, on the right hand side. Please remember the number as we DO NOT have a name sign on the house. We are only a 4 minute walk from the Arnos Grove Tube Station, on the Piccadilly line, which takes you to the city centre in 20 minutes. The trains run regularly every few minutes from 5. 30 in the morning to 12. 30 at night. This location is very convenient to access from all London airports - please see our travel link on our website.